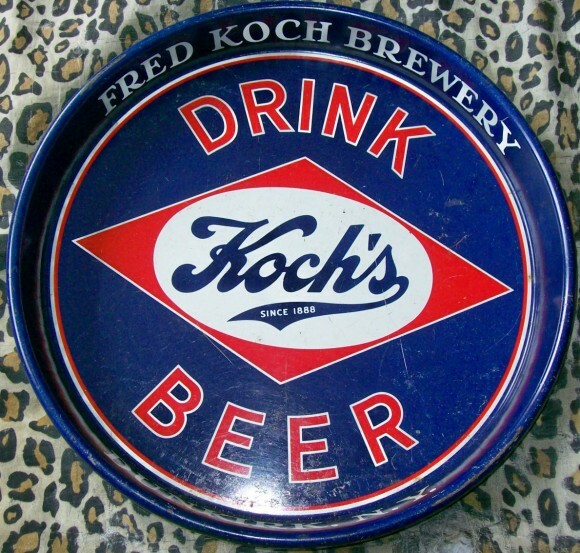 Serving Tray for Koch’s Beer from The Fred Koch Brewery out of Dunkirk, New York. This tray dates to the 1940s and comes in a 12″ and 13″ size. The sign has nice color and while the design is pretty simple the script “Koch’s” inside the diamond give this sign a nice pop when its on display.